Yes, Britain’s hit ewww-worthy but highly informative medical television phenomenon, 'Embarrassing Bodies', is heading to Australia, with Foxtel announcing today it has commissioned a local version of the daring and provocative health series. [UPDATED: the Australian doctors have just been confirmed: Dr Ginni Mansberg, Dr Sam Hay and Dr Brad McKay will be joining the UK’s Dr Christian Jessen as resident doctors. For more on where they are starting, read below]. Hosted in the UK by the renowned Dr Christian Jessen, 'Embarrassing Bodies' is an award-winning show that tackles obscure medical conditions people are too embarrassed to talk to their doctor about (but they are totes okay with being filmed and showing the world! Ahhh, so brave!). The series currently airs in more than 100 markets around the world (including Australia on Foxtel’s LifeStyle YOU), with local versions produced in Belgium, Holland, France and now Australia. In a major coup, Dr Christian is coming to Australia to appear in the new series. The very charismatic presenter, who also appears on the successful series 'Embarrassing Illnesses' and 'Supersize Vs Superskinny', trained in general medicine, infectious disease, travel medicine and sexual health/HIV, graduating from University College London in 2000. 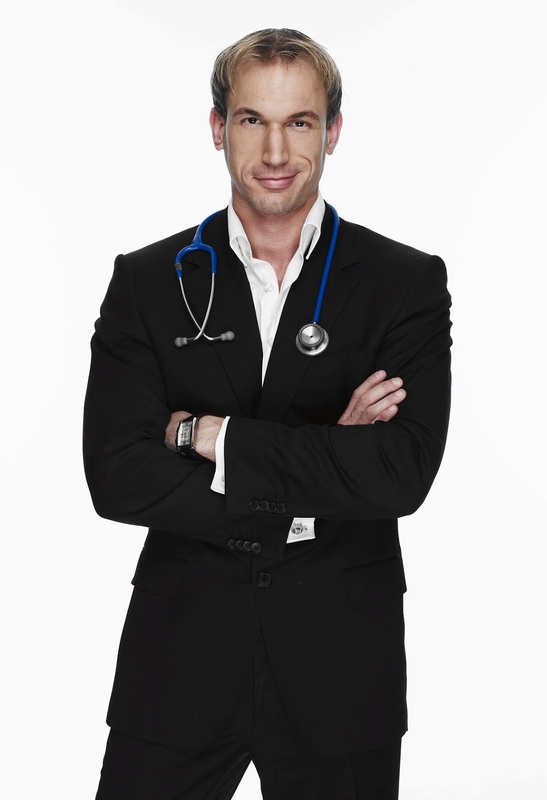 He now practices at Doctorcall, on the world famous Harley Street in London, looking after general medical and sexual health patients and will join Foxtel’s expert team of GPs as they dispel myths and break down the taboos surrounding these blush-inducing conditions. “I'm very much looking forward to once more pulling on the rubber gloves and having a good delve down under!” Dr Christian Jessen said today. “Embarrassing Bodies is a groundbreaking lifestyle format that has become a global hit. The franchise continues to grow here in Australia in terms of ratings, which shows that Aussies are more than ready for a local version” she said. EMBARRASSING BODIES DOWN UNDER will be produced by Shine Australia exclusively for Foxtel’s LifeStyle YOU channel, with production on the series to commence next month. Just like its UK counterpart, EMBARRASSING BODIES DOWN UNDER will feature an array of highly embarrassed patients, young and old, who suffer from visually shocking and personally mortifying conditions, and are all desperate for some much needed medical attention. The series will give an intimate insight into both the sufferer’s treatment and their attempts to cope with the emotional and psychological impact of their illnesses. More about the Aussie doctors: a GP for 20 years, Dr Ginni Mansberg is a well known face on television with regular segments on Channel Seven’s Sunrise and The Morning Show. She writes for numerous magazines including Women’s Health and Practical Parenting, and is the author of three books. Dr Ginni currently practices in Sydney’s San Souci, where she has pursued a special interest in Women’s Health and Paediatrics. Dr Sam Hay has been working in general practice since 2004. He has also spent 10 years with the military as an Army doctor, deploying six times overseas, including Bougainville, the Solomon Islands and Afghanistan. Dr Sam is now part-owner of a new, collaborative General Practice that services patients in Sydney’s inner-west. Dr Sam has completed postgraduate training in Sports Medicine and Paediatrics, which help him to focus on managing the multitude of issues that affect young families. Dr Brad McKay is a passionate general practitioner in the Inner Suburbs of Melbourne. He was accepted into Medicine at Monash University when he was just 16 years old and was qualified as a doctor by the age of 21. Dr Brad lived and worked in Ireland as an Emergency Registrar, before returning to work in Australia with Aboriginal Communities on the Central Coast of New South Wales. He currently works out of a practice in Richmond and is interested in Men’s Health, Women’s Health, Mental Health and Sexual Health. Prior to Dr Christian’s arrival next month, these three highly experienced local doctors will be working out of the EMBARRASSING BODIES DOWN UNDER mobile clinic in the search for patients to appear in the series. The first stop is... Parramatta! The clinic will be located outside the Town Hall on Church Street, Parramatta. Potential patients can simply drop in for a consultation with one of the doctors. Alternatively, they can head to the website for more details: www.lifestyle.com.au/embarrassingbodies. Would YOU like an appointment with the EMBARRASSING BODIES DOWN UNDER doctors, wherever you are? Yes, you can apply to be ON the show, click here.